This entry was posted on February 8, 2019 by Amberley Publishing. What’s next for Kim Jong-un? As I write this on New Year’s Night 2019, firecrackers are exploding uncomfortably close to my home near Phoenix, Arizona. Phoenix isn’t all that far from Los Angeles, which I understand is now within reach of North Korea’s intercontinental missiles. It’s a little comforting that it’s less certain if such a missile weighed down by an actual warhead can actually reach LA, much less Phoenix. Earlier yesterday, North Korean leader Kim Jong-un declared in his New Year’s speech that international sanctions must be lifted before he gives up his arsenal. For now, North Korea can still scare the crap out of Angelinos by attaching a bunch of Roman candles to a missile. What happened to the Trump-Kim love fest? Kim flattered the old man with courtesies like being the first to arrive at the summit and stressing his love and concern for his countrymen—even as he imprisons about one percent of them, including descendants of political prisoners, as I discuss in Fact # 66 in my book North Korea in 100 Facts. Trump openly admired the adulation Kim enjoys from his people, failing to recognize—or simply ignoring—the consequences North Koreans face if they refuse to venerate the Supreme Leader. Kim did take encouraging steps after the summit. He returned the remains of several US soldiers killed in the Korean War. He dismantled at least part of the country’s nuclear testing facility, as I point out in Fact #100. But since I wrote that last fact, there have been reports that the decommissioned site was merely too old to be of much use to test newer warfare technologies. More concerning are satellite images that show an awful lot of construction in another remote region in North Korea that could well be a new testing site. We just don’t know, and the summit certainly did not list specific steps for North Korea to follow. But it has been well over a year since North Korea tested any nuclear device or delivery warhead. Kim’s 2019 New Years address left out the silly propaganda about hitting the US with a “nuclear sword of justice” or turning Seoul into “a sea of fire” as The New York Times reported on 1 January 2019. And since meeting Kim, Trump has ceased calling him names like “Little Rocket Man” and threatening to deliver “fire and fury” to North Korea. As I completed the book five months ago, I realized the reasonably short timeframe between submitting my manuscript and its publication would be eons in the world in which President Trump presides. The major foreign policy advisors at his side during the summit are gone, replaced by a former Fox news presenter and Iraq war hawks. Between his short attention span and the distracting investigations into his 2016 campaign, Trump simply stopped minding the situation. His new advisors have different ideas, and new points of view that he may or may not understand or follow, regardless of what he tweets out. Some things just can’t be broken down into a baseball cap slogan. In the meantime, he hasn’t noticed that Kim is showing signs that he wants to break up with him. Will Kim and Trump get back together? There’s no question that there will be another Trump-Kim summit in 2019. Trump needs another one to take public attention off of the myriad investigations, which I summarized during their relative infancy in my 2018 book Donald Trump in 100 Facts. What Trump will say/demand is difficult to predict. John Bolton, the current National Security Advisor and Iraq war draftsman has historically attacked Presidents, including those under whom he served, for compromising on demands for North Korea to dismantle its nuclear stockpile. Political negotiation and compromise aren’t in his vocabulary. If he has Trump’s ear the day of the next summit, the stalemate will simply continue. Bolton calls for the so-called “Libya model,” in which the leader turned over his nuclear arsenal. Not surprisingly, the rest of the world remembers of the US attack on Qaddafi’s residences and the dictator’s subsequent assassination by political enemies. No doubt Kim recalls this, too. Bolton claims Kim hasn’t lived up to the Singapore deal. But how does one live up to a deliberately opaque deal? Kim can, rightly, point to closing his existing test site and returning soldiers’ remains. In the meantime, sanctions remain on North Korea, which infuriates him. It doesn’t take much cleverness for Kim to position himself as the party that did something, anything, since the summit. North Korea will not begin denuclearization until these demands are met. The US won’t agree to the third point until North Korea dismantles its entire nuclear stockpile. Kim says he’s ready to meet Trump anywhere, anytime. Trump tweeted out the same, adding he “looks forward to meeting with Chairman Kim who realizes so well that North Korea possesses great economic potential!” He should be careful. Kim has the advantage of being backed by a subservient, near-powerless populace (many are starving as I discuss in Fact # 41), while Trump’s democracy is reasserting itself. Kim is determined; Trump is distracted. At this moment, it seems Kim has the upper hand. 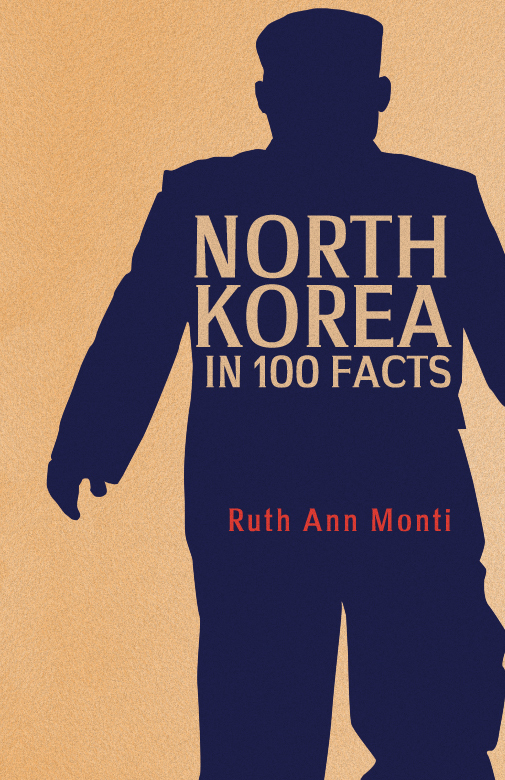 Ruth Ann Monti's new book North Korea in 100 Facts is available for purchase now.